While mercury is soaring in most parts of India, the Yamaha India is ready to roar on Indian roads on its newly launched scooter 'Yamaha Fascino Brand'. The newly launched vehicle is available through Yamaha India showrooms at Rs 52500/- (Ex showroom price) across all major cities and towns. The new scooter primarily targets Indian youths with rich and classy modern retro design. An air-cooled, 4-stroke 113cc engine coupled with a Continuous Variable Transmission (CVT) powers this bike which churns out 7bhp and 8.1Nm. It's lightweight vehicle and weighs 103 Kg only which yields an impressive mileage of 66kmpl. The vehicle is coupled with Yamaha's Blue Core Technology. 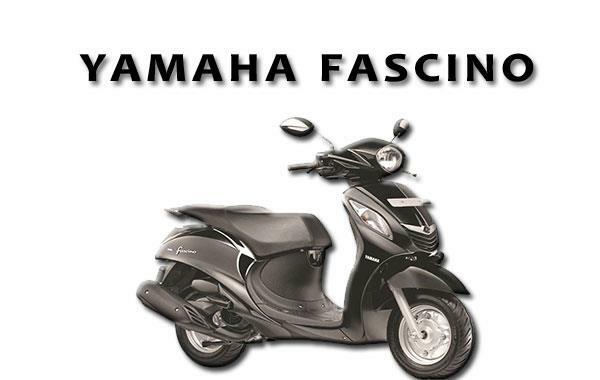 You can buy Yamaha Fascino is in 5 different colors White, Sassy Cyan, Cool Cobalt and Tuxedo Black. The first thing that will catch your attention about this new elegant scooter is chrome-plated front grill and rear view mirrors. The rear region will knock you with a mix of chrome and glass. The overall dimensions are 1,815 mm x 675 mm x 1,120 mm and it has minimum ground clearance of 128 mm. The 775 mm seat height is next to perfect Indian youths. Broader seat makes pillion riding a comfortable experience. The Front and Rear Drum brake makes room for safe stoppage in emergency. You can stop effortlessly without fear to topple. The 5.2 Litre tank can hold enough fuel to go for long drive without looking for a filling station on the way. The Yamaha Fascino is also equally good vehicle for Indian Middle Class families those most often look for a budget ride with family. The Yamaha Fascino's 3D Logo is style statement about which fellow drivers will envy of. Virtually logo will caught attention of everyone not having this scooter. The foot board is roomy enough to give a sedan like experience on two wheels. Under seat storage has large capacity even to store your helmet and water bottle etc. The telescopic suspension in Yamaha Fascino allows for comfortable rides on bumpy roads. However, for safety of pillion it has comfortable grab bar which makes riding and dismounting comfortable.